This brand of makeup is designed by Nicola Roberts (as I’m a Girls Aloud fan, this was just an extra reason to get them!) and it is targeted at ladies with pale skin. Now can we just talk about this packaging?! I LOVE IT. As I have ginger hair this just appeals to me! Now, I’m not to sure why one is ‘blusher’ and one is ‘powder blusher’ but they are both powders so yeah! The blush to the left is 003 Money Talks and the one to the right is 002 My Girl. Money Talks is a light bronzey colour which will be great for contouring! My Girl is a soft pink shade, which will look good in spring I think! Usually light pink blushes don’t really suit me- but we’ll see! Now you are going to have to excuse my extremely veiny hand here, but here are the swatches of the blushes! So yeah! These were a bargain at just £1.99 each so If you’re interested I would skoot on over to the website now! I will review these when I have had a good amount of time to test them out! Previous Post My Top 5 Beauty Tips! Next Post Tangle Teezer, Worth The Hype? 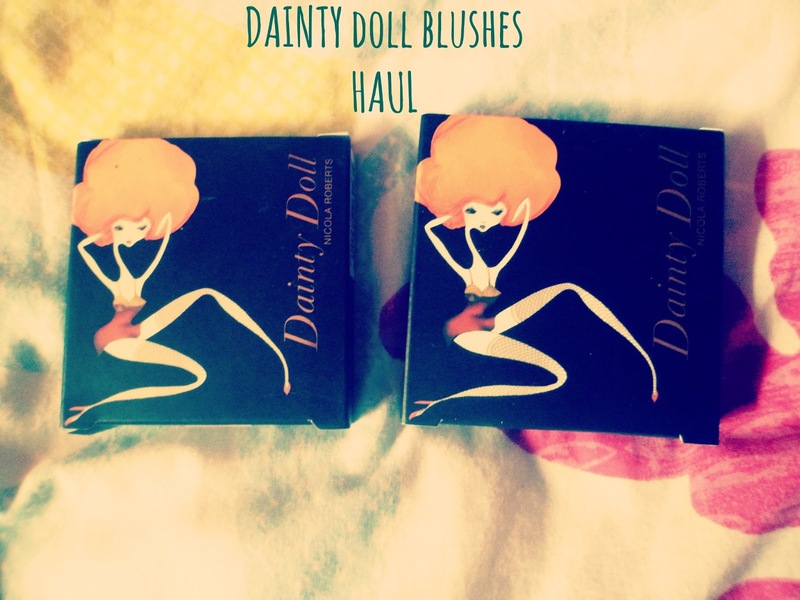 I've been hearing a lot about Dainty Doll as well! I really want to try them out, the packaging is the cutest!